Last week, a story in The New York Times reported that high-end gourmet tea sales are thriving despite the dismal global economic situation. It seems that quality tea is a small luxury many people are willing to splurge on. This winter, I had the chance to sample teas from TWG Tea, one of the luxury brands featured in the story. 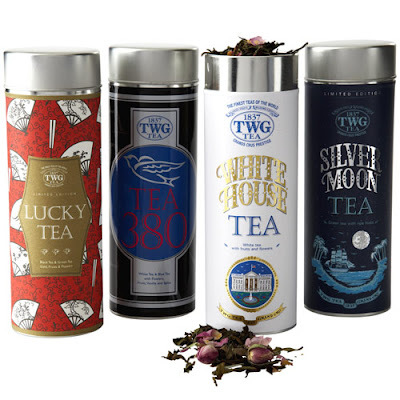 TWG made its US debut in December, and you can find their teas at Georgetown's Dean & DeLuca and online. And this week in Manhattan, Madison Avenue's Dean & DeLuca will open a dedicated TWG Tea counter with 58 loose leaf teas. The Singapore-based company sources tea leaves from the most desirable harvests from tea gardens around the globe, and like wine, some of the teas carry a single-estate distinction. The Times story, citing data from IBISWorld, reports that "tea consumption in the United States is on the rise, but it is still only the sixth-most-popular drink (not including tap water), after soft drinks, bottled water, beer, milk and coffee." Are you a tea connoisseur? If so, what do you drink and where do you buy it? I love tea and my favorite these days is one I just picked up in London from a vendor at Portobello Market. 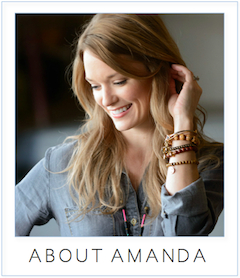 She is an herbologist (and an American expat), and her brand is called "My Cup of Tea". The flavor I love and what helped me when I was sick last week was called "Hug in a Mug". While I don't consider myself a connoisseur, if I come across an excellent tea that is really worth the price, I spring for it. My favorites are French legends Laduree and Mariage Freres--definitely pricey but I can't help but stock up whenever I have the chance. Harney & Sons - Cranberry Autumn. I drink it year round every morning, and I order it loose by the bag. They also have an amazing tea bar in Millerton, NY. It's so nice and cozy on a blustery Fall day. Buchart Gardens in Victoria, BC has a wonderful Bachelor Button Tea. My husband and I had it at an afternoon tea in their restaurant, and we've been ordering the loose tea on line ever since. I drank about 8 cups during this drizzly weekend! And thanks for the tea feedback, all.